1,405 sq ft; lot: 8276 sq ft - MLS# 40851971 Courtesy of J. Rockcliff Realtors Inc. 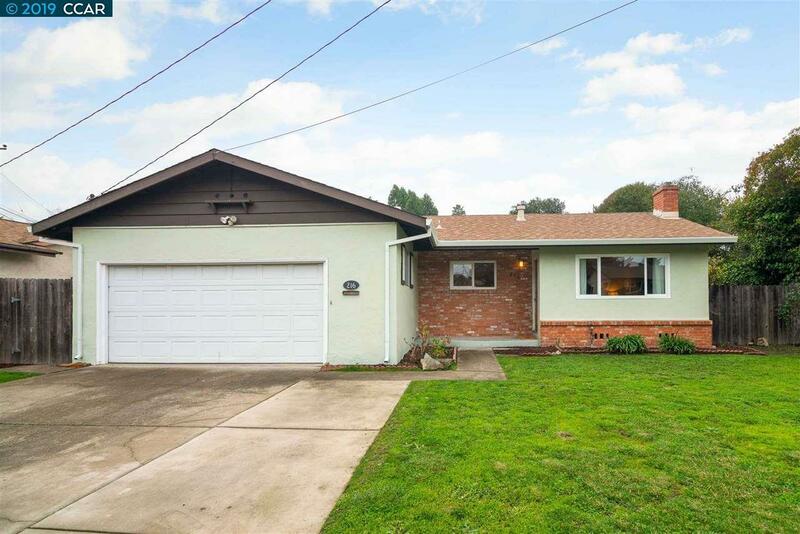 Situated in a well established neighborhood, this handsome Pinole Ranch home boasts 3 bedrooms and 2 baths in a flowing traditional floor plan. Perfect for indoor-outdoor entertaining. Includes a traditional living room w/ fireplace and a gracious family room-dining room combo with a brick fireplace overlooking the patio and huge backyard with lots privacy. Home features original hardwood floors, laminate flooring, dual pane windows, fresh interior paint, updated bathrooms and spacious kitchen w/wood cabinetry, granite counters, and stainless dishwasher and new stove. Lots of parking and storage w/2-car attached garage with interior access. Great commute location with easy freeway access to I-80 & Richmond Parkway, 7 miles to El Cerrito Bart, 11 miles to NEW Richmond/SF Ferry and 20 miles to SF. Minutes to Historic Downtown Pinole, Kaiser Hospital, Point Pinole, Fernandez Park, and local shopping/restaurants - Target, Trader Joe's, Sprouts, The Habit Grill, East Bay Coffee and more!